Date for your diary: The Meetings Show 2018! 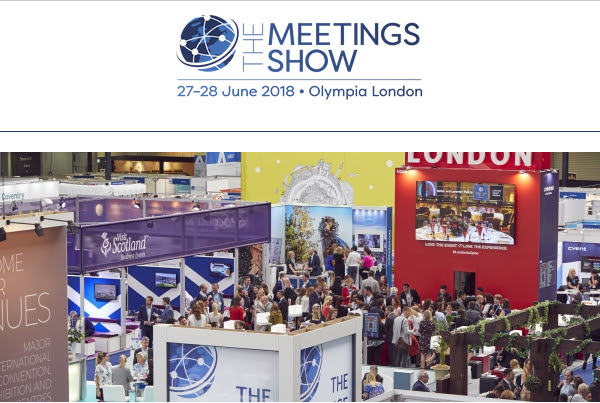 The Meeting Show team are delighted to announce that the dates for sixth edition of The Meetings Show have been confirmed as Wednesday 27 and Thursday 28 June 2018. Returning to Olympia once again, The Meetings Show 2018 will have a new two-day format packed full of focused networking, education and meeting opportunities for buyers and suppliers. The new format for the show follows research carried out which showed overwhelming support of condensing the show to achieve the best value from attending. This will be beneficial to exhibitors, hosted buyers and visitor buyers, fitting more opportunities for learning, sourcing and networking into fewer days out of the office.